It was constructed in the 1730s to a design by Bartolomeo Rastrelli as a summer residence of Ernst Johann von Biron, the Duke of Courland. Following Biron's fall from grace, the palace stood empty until the 1760s, when Rastrelli returned to complete its interior decoration. 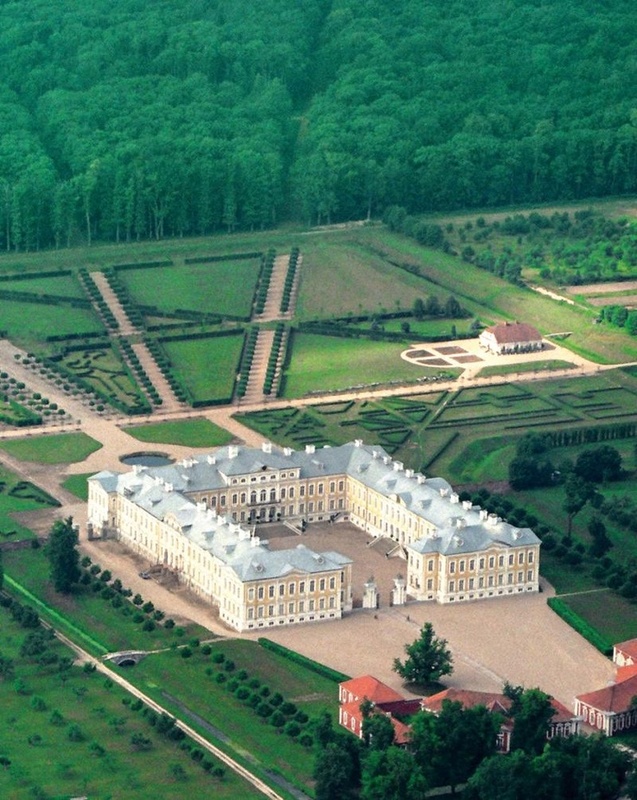 After Duchy of Courland and Semigallia was absorbed by the Russian Empire in 1795, Catherine the Great presented the palace to Count Valerian Zubov, the youngest brother of her lover, Prince Platon Zubov. He spent his declining years there after the death of Valerian Zubov in 1804. His young widow, Thekla Walentinowicz, a local landowner's daughter, remarried Count Shuvalov, thus bringing the palace to the Shuvalov family, with whom it remained until the German occupation in World War I when the German army established a hospital and a commandant's office there.